Survivors compiled tips for preventing brain injury and staying safe. March is Brain Injury Awareness Month - a time to learn, raise awareness, and educate the community about brain injury prevention. Advocates joins many other organizations to celebrate this month, which is led by the Brain Injury Association. Advocates' Brain Injury day program in Lexington, co-run by Supportive Living, Inc., serves adults who have Traumatic Brain Injuries (TBI) and Acquired Brain Injuries (TBI). A group of survivors who attend the program compiles a list of prevention and safety tips. Click on the "Safety tips" picture to the right to download a copy of the safety tips. Tips include ways to stay safe in traffic, sports, and at home. 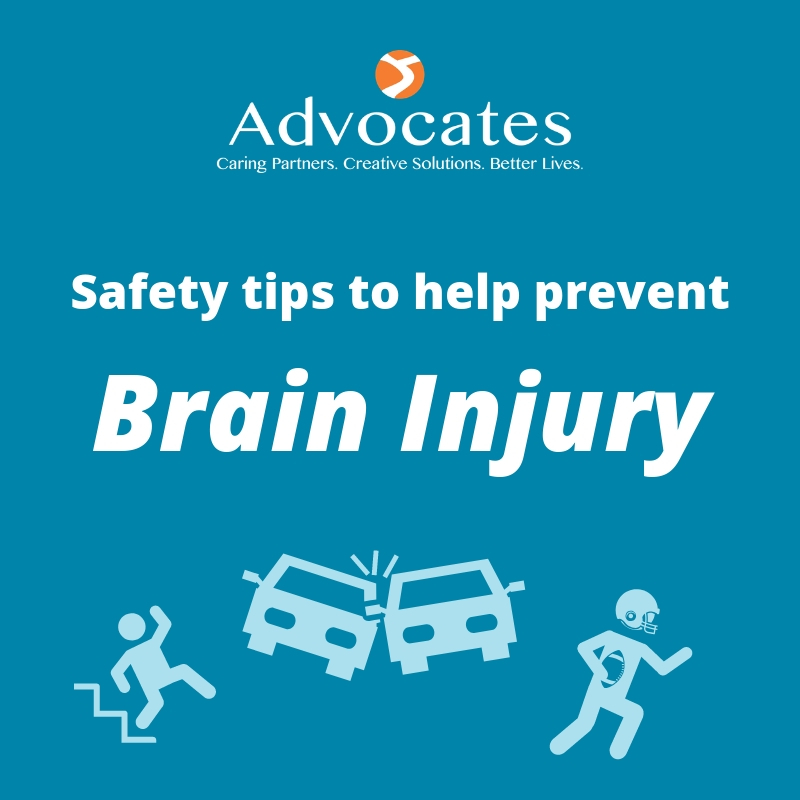 For more information, visit: Advocates' Facebook Page, Supportive Living, Inc.'s website, and the Brain Injury Association of America's website.